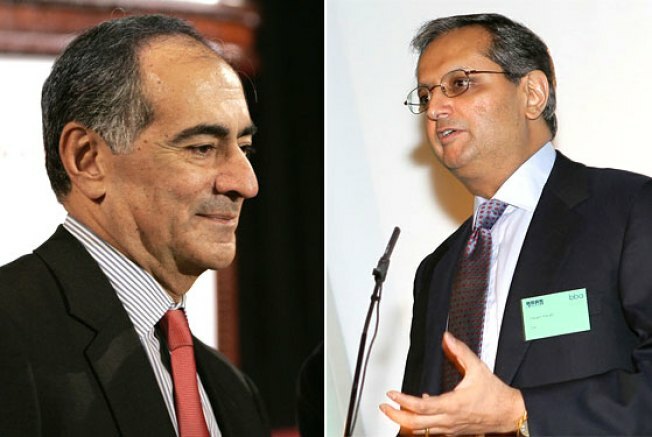 Did John Mack Come On to Vikram Pandit? Morgan Stanley CEO John Mack made an indecent proposal to Citigroup CEO Vikram S. Pandit last night, the Times reported today. “We need a merger partner or we’re not going to make it,” Mr. Mack told Mr. Pandit, according to two people briefed on the talks. Mr. Pandit, a former senior investment banker at Morgan Stanley, said Citigroup was not interested. It is thinking of deals it can strike with consumer banks, like buying the struggling Washington Mutual out of bankruptcy if its reported efforts to auction itself should fail, that would provide it with cheaper deposit funding. This morning, a spokeswoman for Morgan Stanley told the Times that Mr. Mack “vigorously denies” making that exact statement, but not that he asked Pandit if he wanted to go steady. And it's kind of surprising that Pandit turned him down in favor of going it alone — a Citigroup–Morgan Stanley merger totally makes sense, in the same way that Melissa Joan Hart's merger with Adrian Grenier in seminal teen movie Drive Me Crazy made sense. "Who's jealous now?" "Everyone."